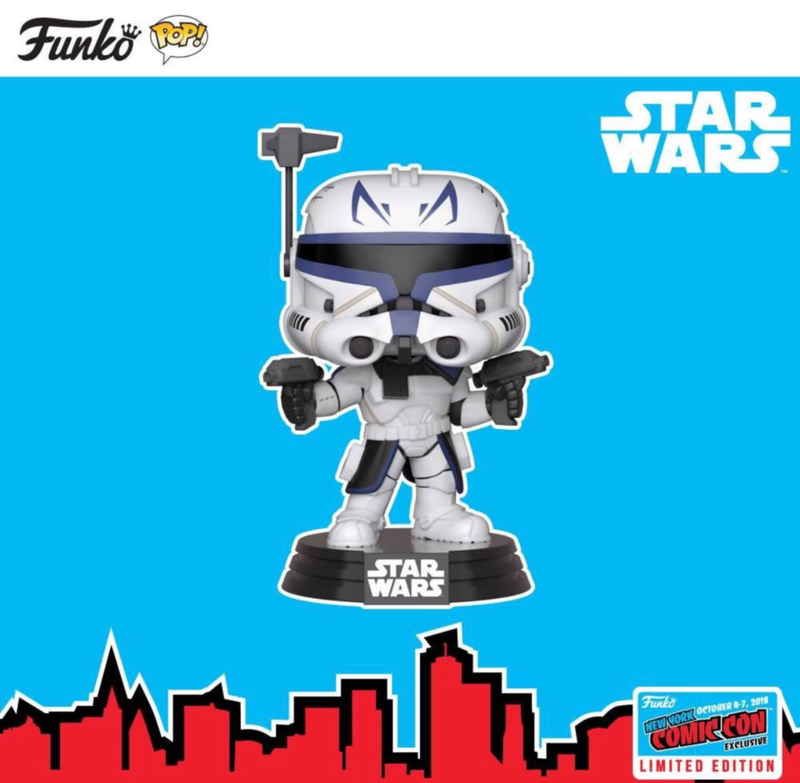 Although many have been disappointed with the quality of the Star Wars pops Funko has been putting out recently, they pulled out all the stops in a first look at the new Pop they’re dropping for NYCC: Captain Rex. It features Captain Rex with his signature helmet, holding a blaster in each hand. It’s a cool looking Pop, for starters. The attention to detail is one of the most noticeable aspects of this Pop; they didn’t simply stick a head on another Clone Trooper body. It looks like Funko took the time to actually try to do right by fans this time and produce a Pop that would be worthy of the NYCC exclusive status. A few years ago, only 2,000 Qui-Gon Jinn pops were released as a limited NYCC exclusive, and they currently retail on secondary markets for about $300. There is no word on whether or not Captain Rex will be shared with another store, like Hot Topic or Gamestop. Hot Topic did a satisfactory job with their recent release of Cad Bane, so many fans hope that any future exclusives will be handed off to them, or to Amazon, which is now handling the future of Funko’s Smuggler’s Bounty subscription boxes. So what do you think of this Pop? Are you going to try to get your hands on one? Let us know your thoughts in the comments below and, as always, May the Force be with You! 9/23 Update: It looks like Captain Rex is going to be shared with Hot Topic as per Pop Price Guide. No placeholder link is available at this time. If its shared yes I’ll grab one if not! its my lost I guess since I dont go to comiccons due to funding.